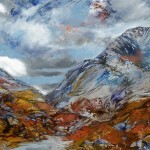 Born in Glasgow in 1981, Julie spent her childhood holidays in the Northwest of Scotland, where her love of and connection to the landscape was forged. 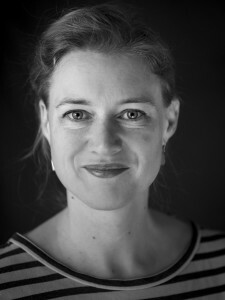 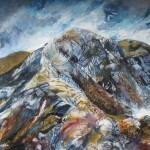 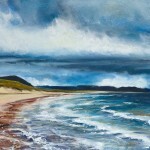 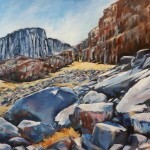 Her work is connected to the Scottish landscape through a deep exploration of more than just “the view”. 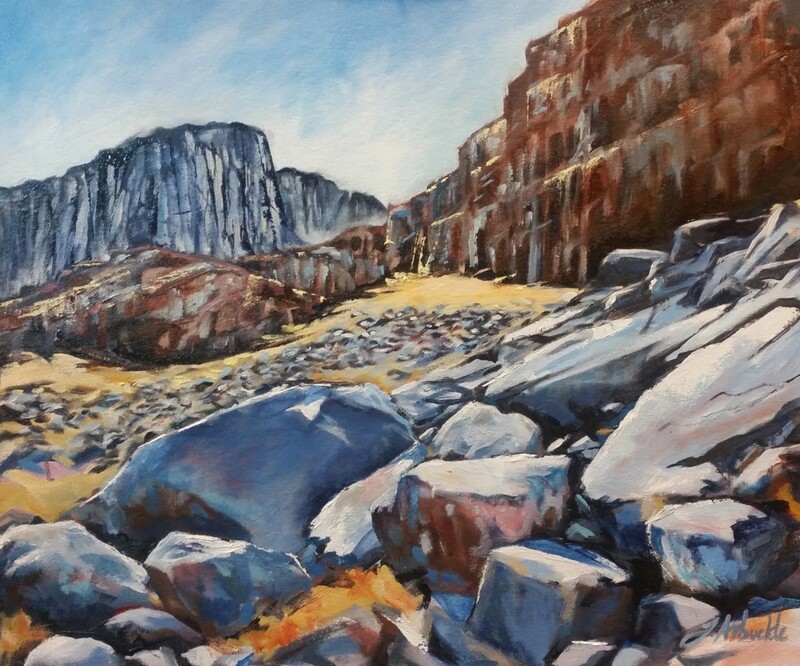 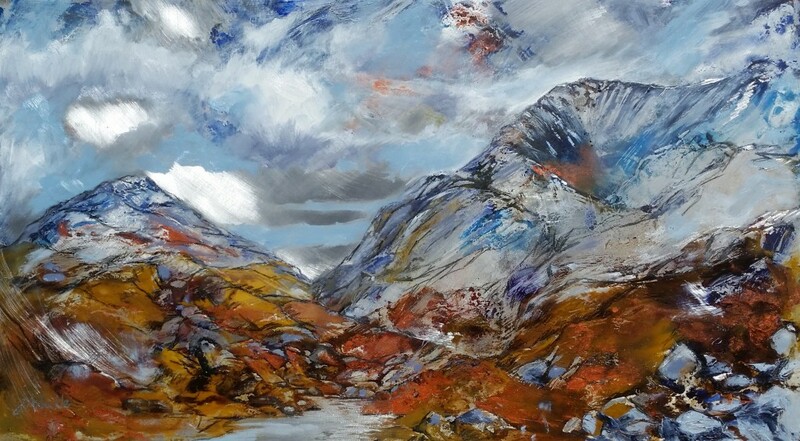 Using maps, sketches, geological specimens and even paint made from the rocks she collects on her travels, Julie produces work which encapsulates her experiences of moving through hill and lochsides. 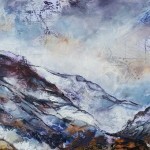 Working on a variety of surfaces, including copper and aluminium in addition to paper and canvas, her paintings are as varied in mood as the weather can be. 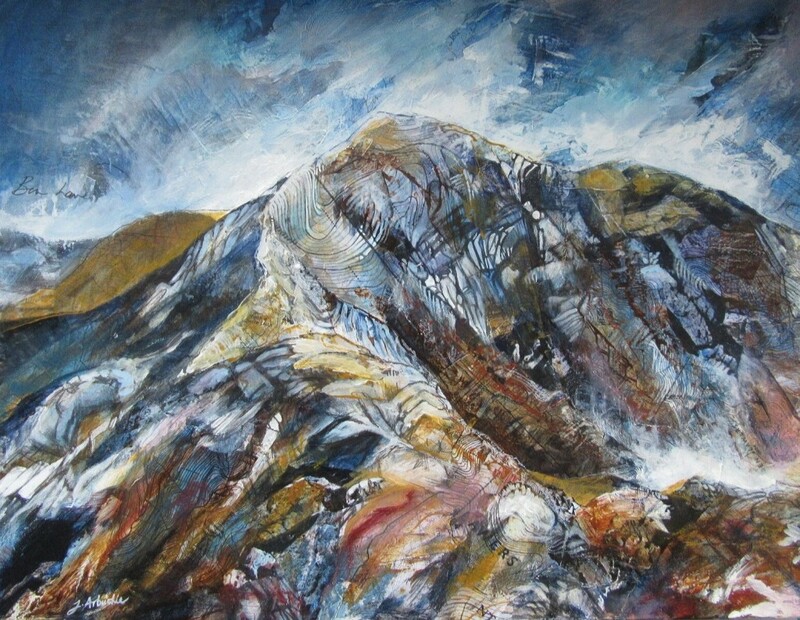 A keen walker, wanderer, cyclist and camper; Julie sends time alone in the hills – often overnight atop a mountain – in order to gather resources for her work.